Graveside services are scheduled for 10:30 a.m. Monday, Aug. 27, at the Avis Cemetery in Avis, N.M., for Carrie Lois Munson Godley of Hagerman. Godley, 92, passed away Friday, Aug. 24, 2018, at San Pedro Nursing and Rehabilitation Center. Jim Hickerson will officiate the services. Honorary pallbearers are Alton Munson, Timmy James, Lee Clark, Trustin Munson, Kelly Munson, Justin Munson, Cody Munson and Jim Webber. Visitation will be held from 4-6 p.m. today at Terpening & Son Mortuary. Carrie Lois was born Feb. 17, 1926, in Alamogordo to Cecil and Sadie (Anderson) Munson. She spent her childhood on her grandfather Jimmy Anderson’s ranch at Avis. She attended school for eight years at Avis Rock School, one year of high school in Artesia, and two years at Weed High School, completing her education at Eastern New Mexico College, where she received a bachelor’s degree in education. She later received a master’s degree from New Mexico Western College in Silver City. 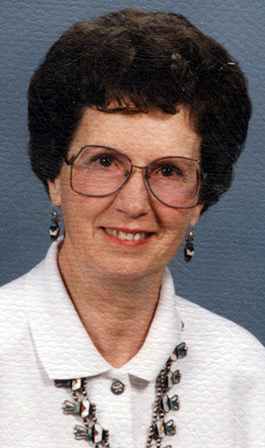 Carrie taught school for 35 years in Artesia, Pinon, Weed, Cloudcroft and Ruidoso before retiring. On Aug. 23, 1946, she married Jim Godley in Carrizozo. The couple were happily married for 55 years before Jim’s death on Sept. 17, 2001. Having no children of her own, Carrie has been cared for by her nephew and his wife, Alton and Wanda Munson, of Hagerman. Survivors include sister Cora Joyce Munson James and husband Benny of Valdey, Alaska; brother Hollis Munson and wife Linda of Bennington, Okla.; many nieces and nephews, including Tim James, Robin James, Karen Webber and husband Jim, Trustin Munson and wife Diedra, Starlyn Munson, Marcell Woolsey and husband Chance, Lee Clark and wife Debbie, Debbie Bodenchuck, and Susie Sprague; and many great-nieces and nephews. She was preceded in death by her parents; brother Alton M. “Grubbs” Munson of Artesia; sister Betty Kay Munson Clark of Caballo, N.M.; niece Saren Munson Quiroz; and nephew Harold Clark Jr.